1st Edition Apple Dumplin with Tea Time Turtle in very Good Condition, missing booties. 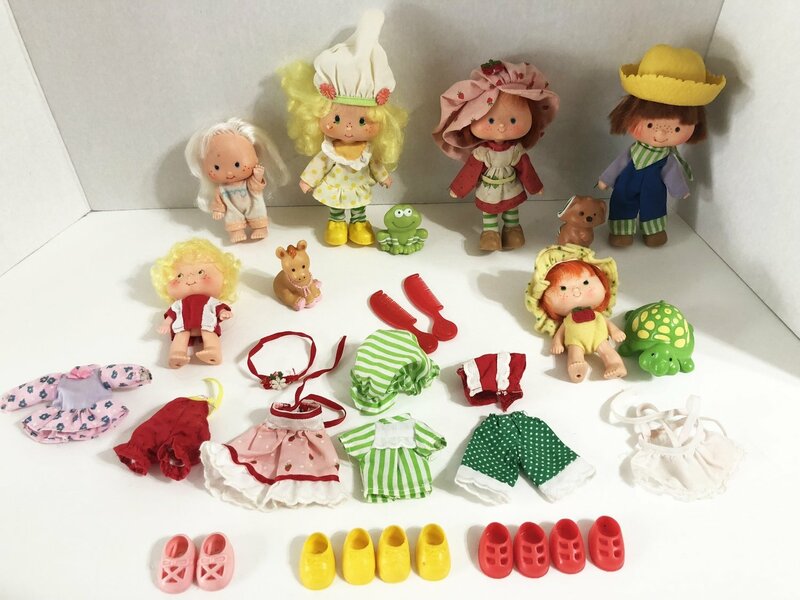 1st Edition Strawberry Shortcake (flat hands) in very good condition. 2nd Edition Huckleberry Pie with Pupcake in very good condition. 2nd Edition Lemon Meringue with Frappe Frog in good condition. Burrito Donkey (goes with Cafe Ole) is in very good condition. Apricot with spot on forehead. OK condition. Lem missing clothes but very good condition. All clothing and shoes in very good condition.